I love going to networking events and watching business owners beat their chests about how much their sales have increased over the year. 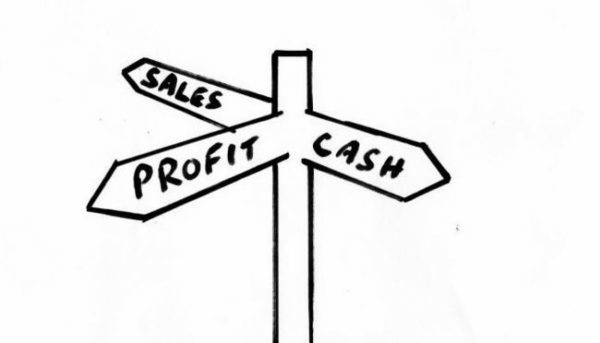 Don’t get me wrong, sales growth is vital in many businesses… BUT not at the price of good old-fashioned profit. It’s interesting (for me anyway!) that so many business owners do not focus on profit. But let’s look at what profit really is. To start with Profit is NOT what your accountant will tell you in a report to the IRD up to a year after the event. This is taxable profit, of which you will need to contribute tax to pay for roads, politicians and various benefits. What I am taking about is REAL profit. REAL profit is based around cashflows. It gives you the folding stuff to pay your bills, feed your family and pay your mortgage or rent. START LOOKING at your real profit numbers. You should be looking at this every month. Even if you are by yourself or a small business. With the likes of Xero it is easy to pull out the numbers you need. Create a quick spreadsheet and for those of you who are visual like me then make a bright looking graph. If you don’t know how then get one of the kids to make one up! MORE ACTION around improving your real profit. Put plans in place to actively reduce expenses or debt. Minimise tax debts or payments. Look at dead areas of the business and work out how to make money from it. Cut products or services that are not making money (do you even know which ones they are?) Action will always = results but ONLY if it is the right action. So, have a look at your business. Focus on the REAL PROFIT vs sales or taxable profit that most business owners tend to focus on.